Our platform currently relies on Android-based cell phones for collecting and transmitting sensor data. While the various Android cell phones will largely share common capabilities (at least the ones that we rely on for this project), there may be some differences and our projects uses a variety of these devices. Below are the Android cell phones that we are actively using and who is responsible for them. Some of the cell phones have cellular service while some do not (we can still retrieve data from the ones without cellular service via a WiFi connection to our server or via a USB connection to the phone). The Bosch Sensortec's 3-axis BMA150 is used for the HTC Hero. 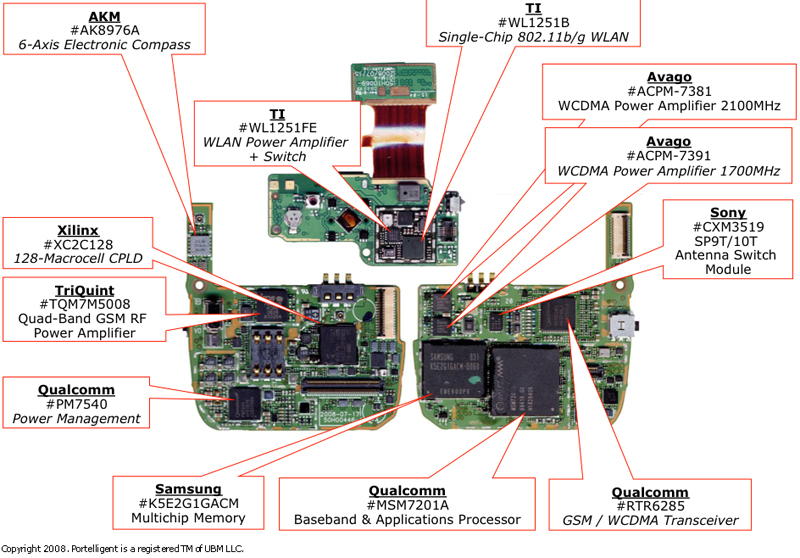 The T-Mobile G1 Specs shows that is uses an AKM #AK89761 6-Axis Electronic Compass. Apple uses an LIS302DL accelerometer in its iPhone, iPod Touch, and 4th and 5th generation iPod Nano. The Asahi Kasei's AK8973 digital compass is used in the HTC Hero as well as in newer iPhones.